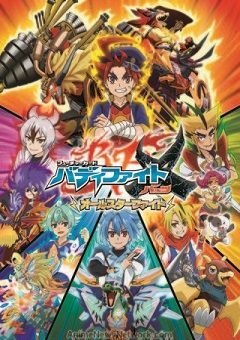 “Future Card Buddyfight Ace ” (Future Card Shin Buddyfight in the Japanese) is the second series and sixth season anime based on the card game of the same name, following a new cast of characters, premiered on June 2, 2018. The anime’s story takes place 23 years after the events of Future Card Buddyfight X and centers on Yuga Mikado, son of Gao Mikado. Because Yuga is talented at games, he is known as the “Ace of Gaming.” However, Buddyfight is Yuga’s first card game. Yuga’s Buddy is Gargantua Dragon, who is also known as Garga.